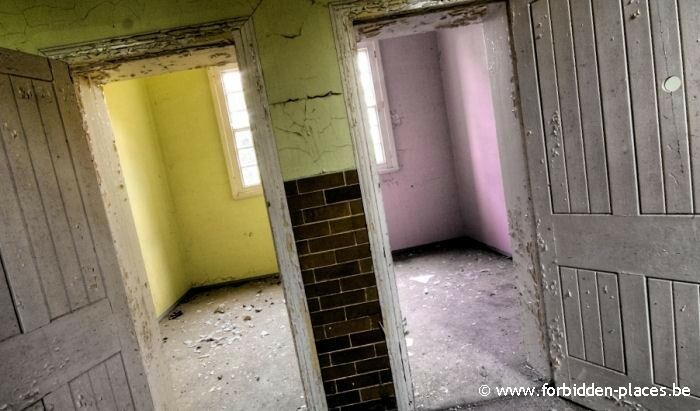 Hellingly hospital (East sussex mental asylum) - (c) Forbidden Places - Sylvain Margaine - The Yellow and Rose cells. 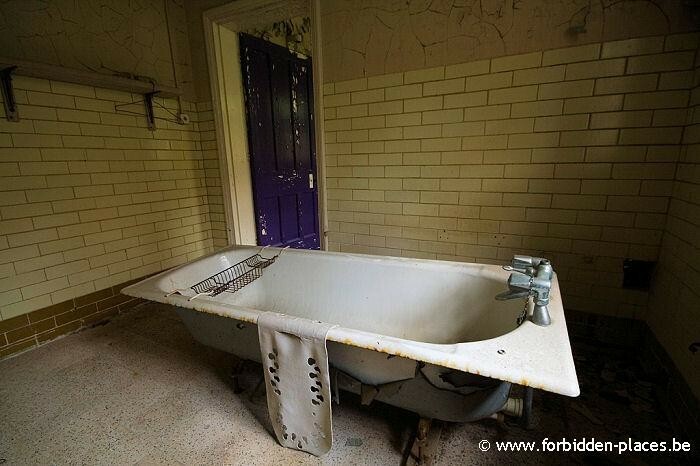 Hellingly hospital (East sussex mental asylum) - (c) Forbidden Places - Sylvain Margaine - Bath time! 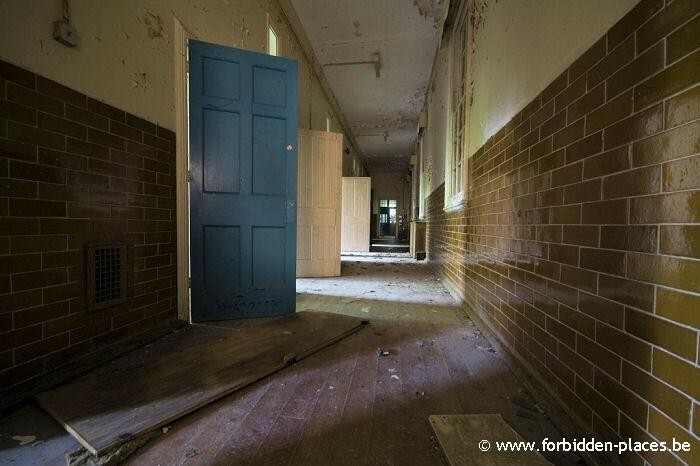 The East Essex County Mental Asylum opened its doors in 1903. 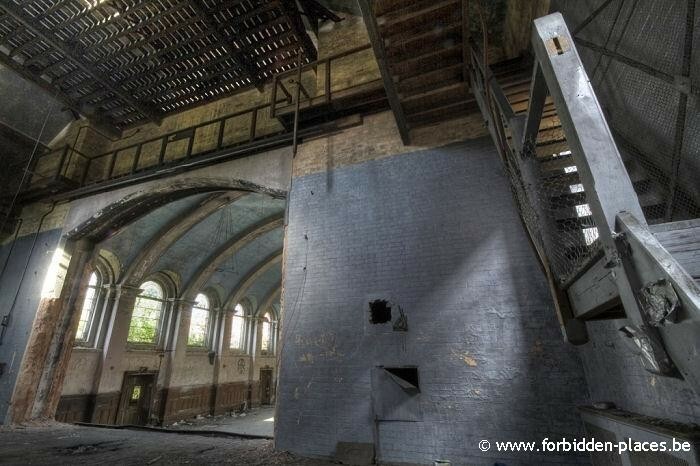 It is built close to the small village of Hellingly, in South West England. The architect G.T. Hine designed the Victorian hospital on a very large scale, spreading the many buildings on a huge campus. 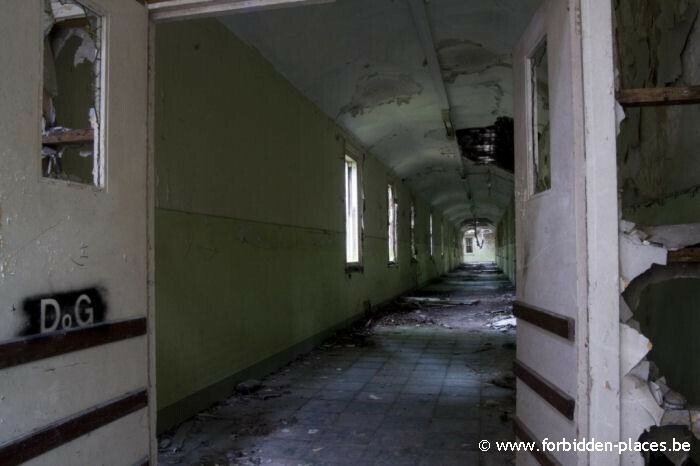 Isolated from everything, having only one single road and its own train line, the psychatric asylum remained self-sufficient for years. 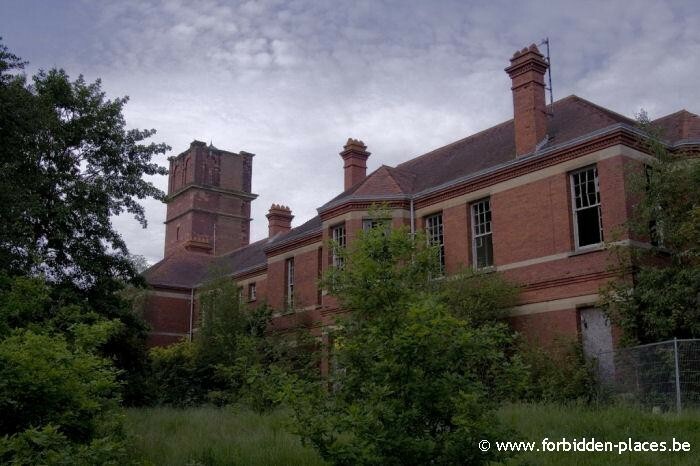 Patients & staff used to live under the same roof in the many red bricks buildings linked by closed hallways, and offering "therapeutic" and relaxing views onthe surrounding quiet and green countryside. Is this available for paranormal groups to investigate? Deborah randall, is this available for ghost hunts does anyone know? 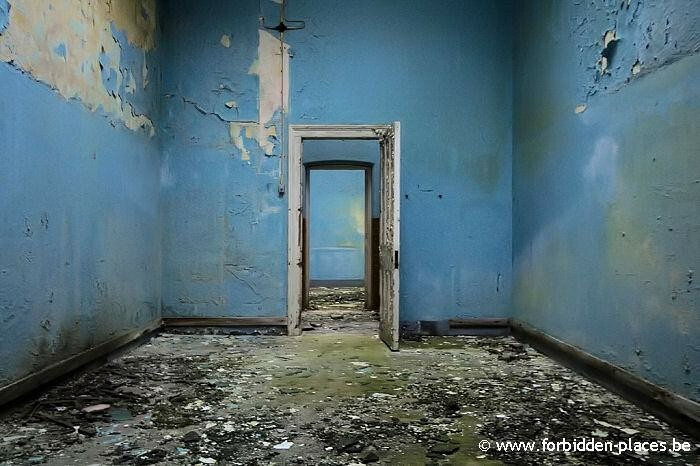 My Grandmother Celia Foss (nee Rough) was a patient at Hellingly hospital in the 1950s and died there in 1955. Her Daughter (my mother) Celia Snelling had her buried in Bear Road Brighton cemetery. If anyone new of her, please contact me on the E mail address below. It's in East Sussex; South East England: NOT South West England! I worked there from 1968 to 1974. Are there any abandoned buildings remaining in this area now? if not do you know of any in Essex? My Father was the Chief Male Nurse here and my Mother an Assistant Matron. I lived on the estate from about 1951 to about 1968. My memories are not happy personally as we were ostracized by the local population. All I can remember is the dedication and caring of the staff towards the patients, we used to have weekly films in the auditorium and I used to go and talk to the patients in the geriatric center and play games and sing. Why is this a forbidden place? The patients there were cared for and, unlike today, not condemned to live on the streets without sustenance. 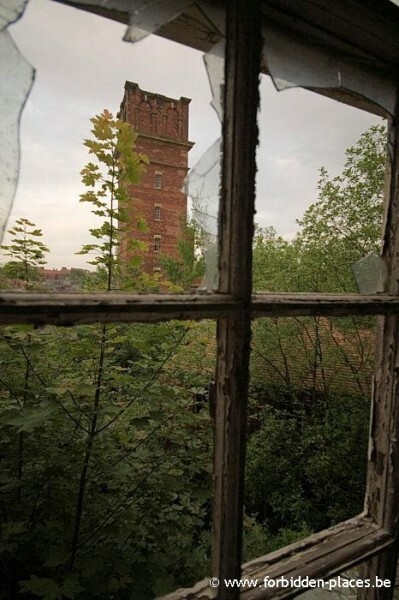 My parents dedicated their lives to help the patients in their care and it breaks my heart to see such a beautiful building going to wrack and ruin. Last night i was sorting through some books when i came across a bible. In the front cover I found some letters, one dating back to May 1916. I also found a certificate from the East Sussex County Asylum Hellingly Sussex, in the name of Kathleen Bristow, she worked at the asylum from October 1918 till June 1927. Is there anyone who lives there now who has experienced negative paranormal activity? We're looking at moving there bit have been warned that maybe not a good idea....? 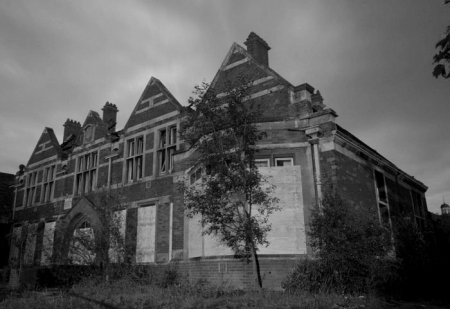 I trained at Hellingly. I left in 1981, in all the time I was there I never felt afraid or spooked and those corridors were very dark and very long on night duty. The wards were warm and airy, the grounds were something else, I remember the greenhouses where the plants and veg were grown. It was a wonderful place and we all loved our work and did our best for our patients. My goodness there were some characters amongst them and the staff. The driveway was long and very cold in the winter, many a good night held in the social club, I remember the first computer game that was in a table and there was always a queue to play it. I used to phone home from the old damp phone boxes dotted about in the corridors, whilst rolling a "fag " for a patient who was having wander. It is so sad to see the old building replaced with ticky tacky houses that all look just the same. Still I have my memories in my head and would do it all again if I had the chance. I live on the new housing complex ,its a wonderfully atmospheric place . 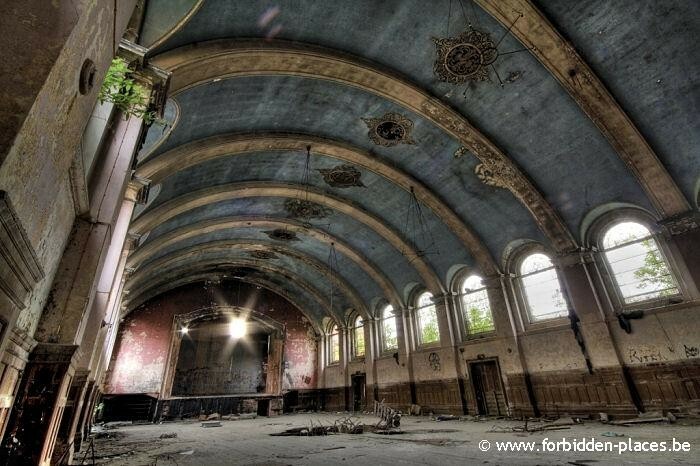 I wish I had seen it as it used to be .I have spoken to people who worked and still work here so interesting . yes I often hear residual sounds from past times sometimes from the chapel ,im opposite so very close . I have seen lots of orbs and shadow figures im currently trying to gain entry to the chapel to resesrch and hope as I live here it will be easier . 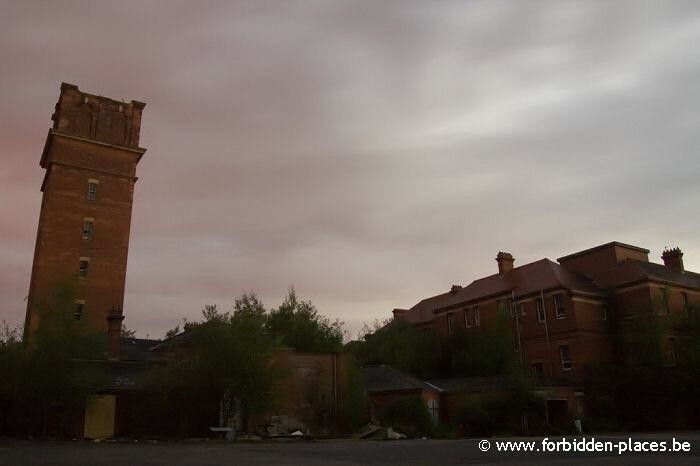 Sadly most of the main hospital buildings are now gone and in it's place a new housing estate. Give the developers their due they have designed the new houses in keeping with the old hospital, many features like the windows and certain designs have been recreated. Some outbuildings still remain like the old church, admin and a few others, this gives the new estate a feeling of still belonging to the old hospital. 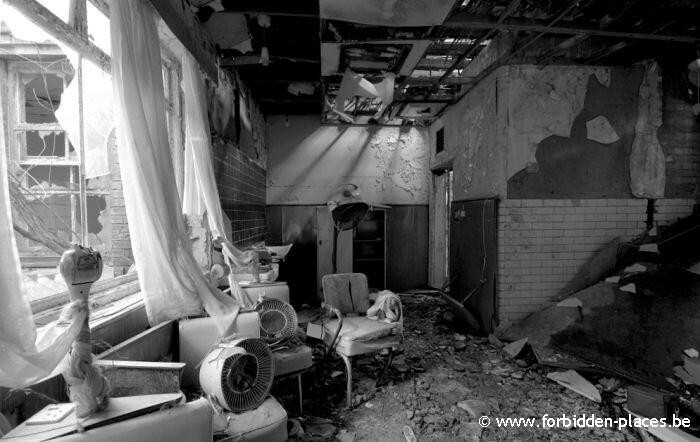 I remember visiting the hospital when it was open and again when it was in a derelict state. I grew up around this area and always remember seeing the watertower looming through the trees. 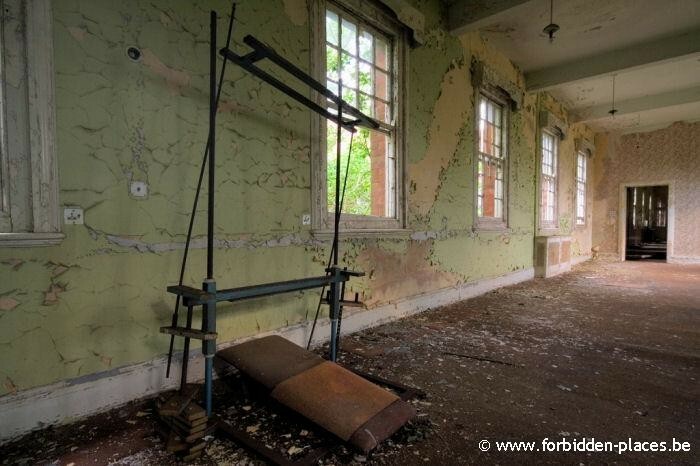 I would love to write a book about the hospital and it's history. 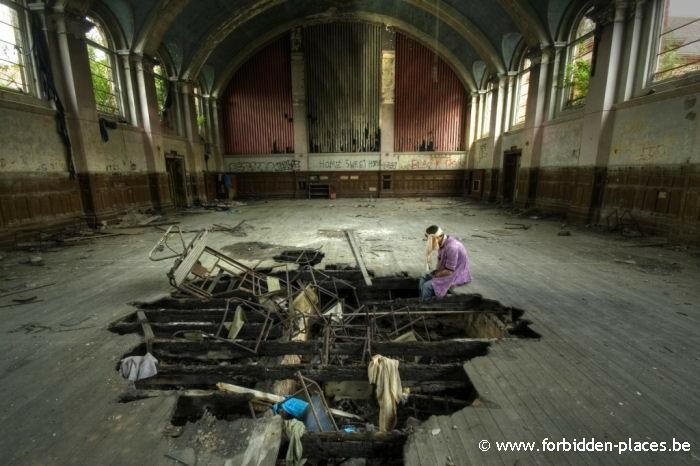 It is very sad to see the old place in such a state. I used to work in X-Ray there when the regular radiographer was on leave during the late 1970s. The equipment was pretty antiquated but the work pace was not too hectic as I seem to remember we only dealt with in patients at the hospital. 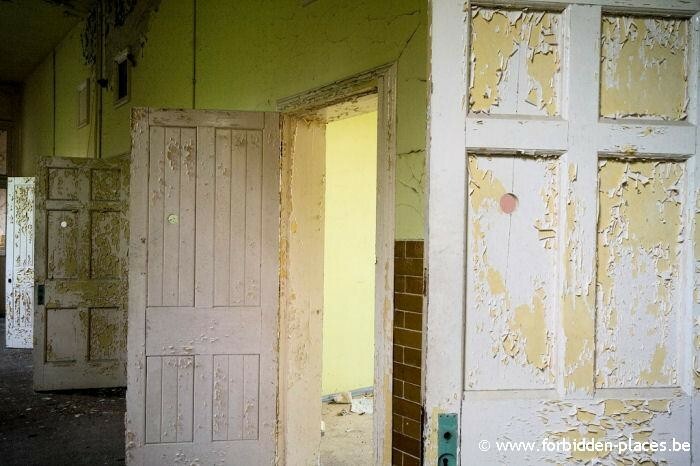 I worked as a psychiatric nurse at Hellingly and later at the Medium Secure Unit. The hospital was a wonderfully therapeutic place to recovery from any form of mental illness and in my opinion should never have been closed. However it has a mixed history, I had the advantage of accessing some of the old patient notes and was often outraged to see women held against their will for things that would never be allowed today. 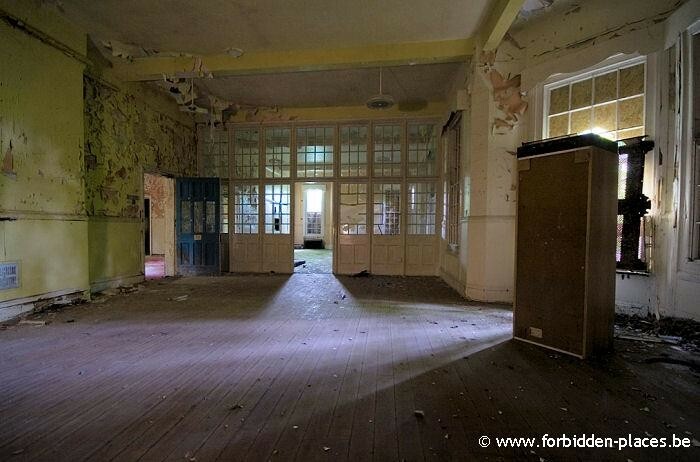 Also I saw a ghost at Hellingly - no doubt about it. November 3rd 1990 - an evening never to be forgotten. 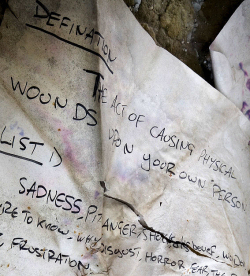 I am very interested to read you had access to old patients notes at Hellingly. My grandmother (about whom I am writing a book) was incarcerated there from January 1941 to April 1956. All I know is she had Electric Shock Therapy and a Lobotomy as part of her treatment as her records have been destroyed. I'd love to hear your stories if you would be kind enough to share what you know - in strictest confidence of course. Me and my dad have done a lot of research in this place it looks pretty cool to be honest, I'd love to go there to take pictures and get to look around the whole place. We don't want to just walk in if we're not supposed to be there, who would I get in touch with to get a view round here? Only problem is that it would have to be on a Friday or weekend, as I'm still at school and he works during the week, can anyone help me? I am a medical secretary and was delighted to get a job at Hellingly in the late 1980s, as PA to the Consultant Psychiatrist Dr Smout. 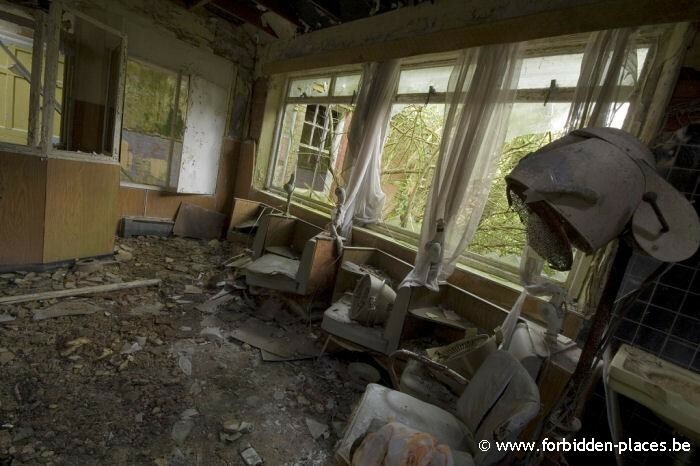 I absolutely loved the job and the location, and I was gutted when the Thatcher government decided to close it, chuck out all the patients, who did NOT want to leave and were terrified of being sent out into the community - some had been there all their adult lives and were now elderly; and we were all made redundant. Then the place just stood and rotteed. Heartbreaking. 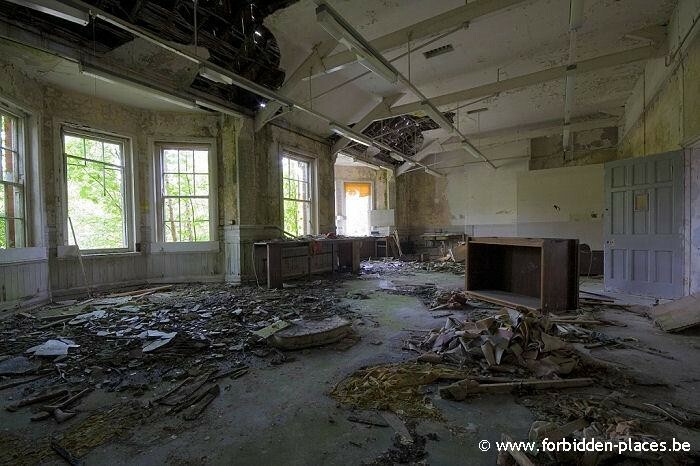 Ive noticed your comment from saying that you worked at Hellingly. I am doing a project at university and would love to ask you a few questions if there was a way of getting in touch with you privately? I worked at Hellingly from 1962 to 1964 went to Jersey Island for 2 years and calme back to Hellingly for another 2 years. January 68 I left for Canada. 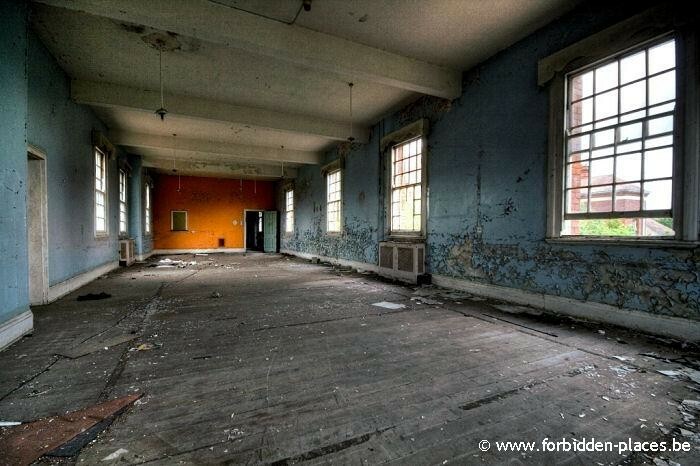 I have the best memories of my stay in Hellingly, the sisters, the nurses and of learning English ! who married Geoff Middleton and Enzo Preziusi who married Monique. Marcelle Callaert who is married to See Chang are in Australia..
Feel free to write. regards. 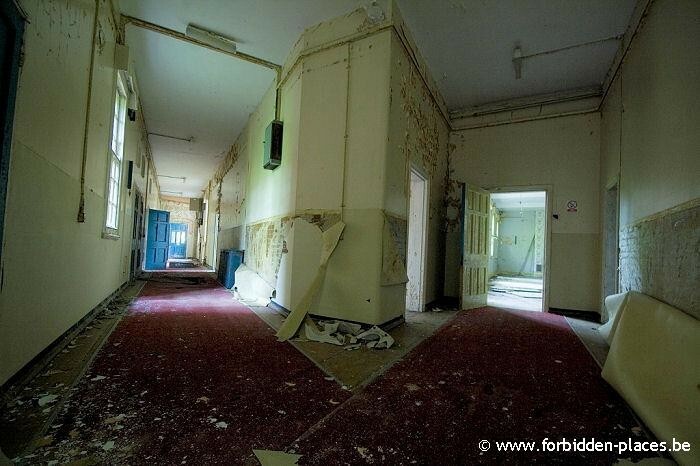 The remains of the main block and first arrow male/female wards were demolished autumn 2014. In its place will be 40 luxury apartments in the same style as the original building. It's a shame that the remaining building wasn't restored. But it's a wonderful and peaceful place to live with lots of wildlife including wild rabbits, owls, woodpeckers and bats. As far as I am aware its being demolished or it is demolished as of 2011. I took a trip up there with a friend and we had to sneak through a fence. Not sure whether it was haunted or not but the feeling was eerie and i did feel the need to checking behind me. I did take a few pictures while I was there. I worked in that strange and wonderful building from 1977-1982. Have the most wonderful memories, so sad to see it go. Worked with some amazing people, love goes out to them and the feelings of the loss. I remember when my father was a doctor in the army before demob (1945/6) and he was posted to Hellingly Hospital. We (his family) "lived/stayed" at Boship Farm nearby. Can anyone provide any information about what went on there towards the end of the war and the couple of years after? 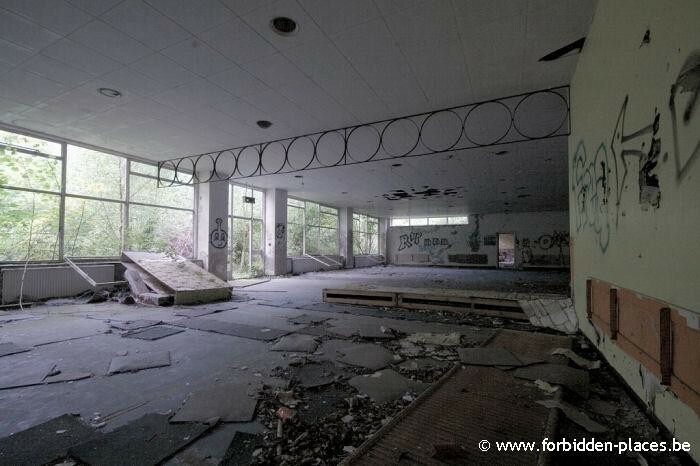 Was it a military hospital? Was it for war wounded or PTSD as it s now called? I absolutely adore places like this. 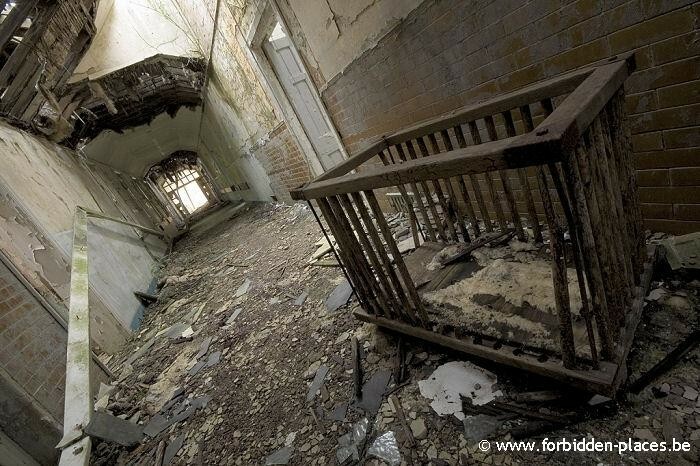 Old abandoned asylums, hospitals, homes and also my favorite...cemeteries. I'm not sure if it's just the sheer beauty of the layout or the history behind it all, but it fascinates me to the point of obsession. It's a shame that some people feel the need to vandalize such places. Hopefully one day I can travel to these destinations and truly take in the scenery for myself.